John Fink, 90, of Russellville, formerly of Milwaukee, WI, died Friday, February 16, 2018, at Legacy Heights Nursing Home in Russellville. The son of Henry and Mary (Shaffer) Fink, he was born March 15, 1927, in Yugoslavia. He was a machine operator in the cardboard packing industry. He was a member of the Dover First Assembly of God Church, and active in the Meals on Wheels program of the Pope County Senior Adult Center. John enjoyed working in his flower, fruit and vegetable garden, often taking his crops to the town square where he freely shared them with friends and townspeople. He was also an exceptional wood craftsman. He was preceded in death by his parents; his wife, Elizabeth Fink (Lickel); a sister, Mary Lickel (Fink); a brother-in-law Konrad Lickel, Sr.; a brother-in-law Peter Lickel Sr. (Eva); a niece, Anna Seymour (Lickel); a nephew, Konrad Lickel, Jr.; a nephew, Peter Lickel Jr., and several other relatives in Austria, Brazil, Canada, and Germany. He is survived by a niece, Erika Lickel of Dover; a nephew, Bill (Mary) Lickel of West Bend, WI; a niece, Erika Ritter of Milwaukee, WI; a niece, Patricia Lickel of Colgate, WI; a great-nephew Michael Seymour (Nadene) of Plainfield, WI; a great-niece, Sherri Gerstner (Eric) of Fond du Lac, WI; and a host of other relatives and friends in Arkansas, Austria, Brazil, Canada, Germany, and Wisconsin. The family would also like to extend heart-felt gratitude to John's caretakers over the years: Colette Lewis, Lisa Kraemer, and the late Dennis Kelly. Funeral Service will be held at 2:00PM, Wednesday, February 21, 2018, at Dover First Assembly of God Church, 9460 Market Street, 72837. Rev. Jerry Patton will officiate. Burial will be at McFadden Cemetery in Dover, by Humphrey Funeral Service. Visitation will be 1:00 to 2:00 pm, on Wednesday, at the church. Memorials may be made to: Dover First Assembly of God Church; and Meals on Wheels C/O Pope County Senior Adult Activity Center, 1010 Rochester Ave., Russellville, AR 72802. 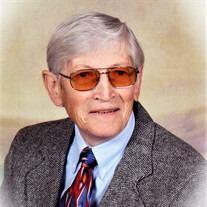 Internet obituary and on-line guest book are available at www.humphreyfuneral.com.